Rent boats and more from owners near you and save. An online platform enabling individual owners of powersport vehicles & vessels to earn money on their equipment by renting it out to qualified members in a safe & insured environment. Providing affordable rentals to recreational enthusiast. Fun2Rent.com an online platform that connects owners of recreation and powersport vehicles (boats, jet skis, snowmobiles, all-terrain vehicles, trailers, and more) with individuals interested in renting these vehicles. Owners earn money on their idle assets and renters save up to 70% by renting from private owners. The platform allows owners to earn supplemental income from their vehicles and provides renters a fully-insured, reasonably-priced alternative to online and local powersport rental companies. Our mission is to become the VRBO/Airbnb of the recreation and powersport rental market. The main difference is that both owners and renters have insurance. 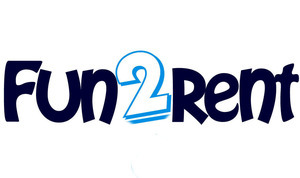 Fun2Rent’s legal counsel is represented by Goodwin and Procter LLP. Our business model is primarily based on a 25% commission fee for rental transactions, we will soon implement featured listing fees of $5, and future revenue will come from classified listing fees. A significant portion of its listings will originate from marketing through dealerships and trade shows. In order to grow, Fun2rent plans to initially market its service in the US. It will also investigate expanding to Canada and other countries. Fun2rent's peer to peer model is unique to the market place, most competitors are brick and mortar operations that are expensive and generally can not provide rental insurance. •	Partnership with insurance carrier and online safety course providers. Exciting, you have my vote! Thank, yes we are excited too. 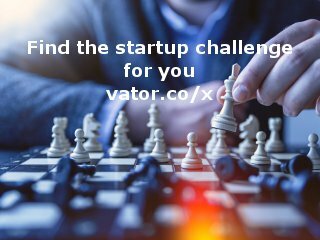 This competition is an Awesome opportunity and we are ready to pitch on stage. I mean we are ready to see you pitch on stage. good luck. 6 Comments - I like this update! Fun2rent.com was featured in a VatorNews article: "Today's Entrepreneur: Elin Bostrom"